In order for swim meets to run smoothly, we require many volunteer hours and lots of hands on deck. It is expected that as your swimmer progresses through their different skill groups, you will also progress through the different officials positions. 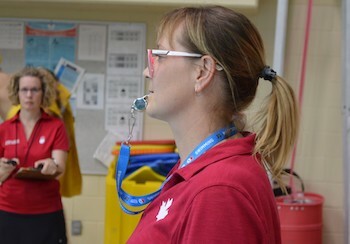 Officials Training can be completed online through Swimming Canada or in person through the various clinics offered by Island Swimming. 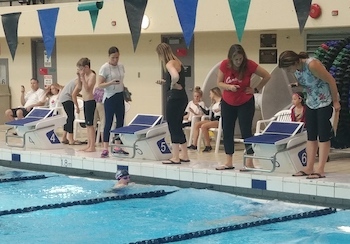 Island Swimming encourages families and guardians of swimmers to progress through the officiating positions as their swimmers advance through the groups. You should complete the Judge of Strokes & Inspector of Turns clinic. 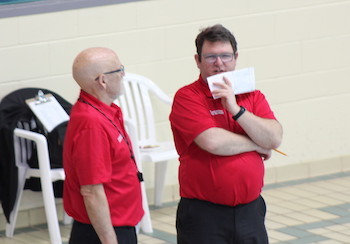 You can find the latest clinics being offered by Island Swimming Club by visiting the Upcoming Meets and Events Page and filtering for Officials Training.